Shut the Door and Teach: Happy New Year! I know, I'm a little late, but I'll save my excuses reasons for the bottom of this post not the top. :) For now I want to share how I rang in the new year with my fourth graders because this was a new activity for me! Aren't they cute? And the content is even better. This product was created by one of my teacher-blogger buddies over at All Things Upper Elementary, Mr. Hughes. I saw it just a little too late for January 2013, but it struck such a chord with me that I went back to look for it this past December because I knew this was the New Year's project I wanted to try. I've always done goal setting with my fourth graders (and before that, my third graders). I know resolutions don't usually carry on past January, but I think it is SO important to get kids even as young as upper elementary to be thinking about what they want and setting goals to achieve it. The fact that this project has a big visual impact as an end result, and has what I consider to be a good balance between writing and art is what made me choose it over other formats I've done in the past. Reflect on 2 great things that happened last year. I've neglected to do this with my students in the past; I loved this part of the project as a warm up to the goal setting. I had a student write "I got my kitten in 2013," and another write, "My uncle came home from Afghanistan." Sweet memories to share in class! Choose one thing you will STOP doing. I thought this was a clever twist on the goal setting. Although as teachers we try to form our rules as positive and replace bad behaviors with good ones, this doesn't always come naturally. For a 10 year old, deciding to end a bad habit will often come more naturally and feel easier to work on. I had one student write, "Stop talking back." I am on board with that one! Think of one thing you wish for 2013. I joked with them, "Don't write a greedy wish!" They laughed and got the picture. One student wished for world peace. Write 3 goals. If you want a laugh, here's a link to one of my former fourth grader's goals a couple years ago! The kids were excited about this project the minute they walked in on Monday and saw the sample I made hanging above the Morning Work board. I have a very driven class this year so they took it seriously, both in content and decor! 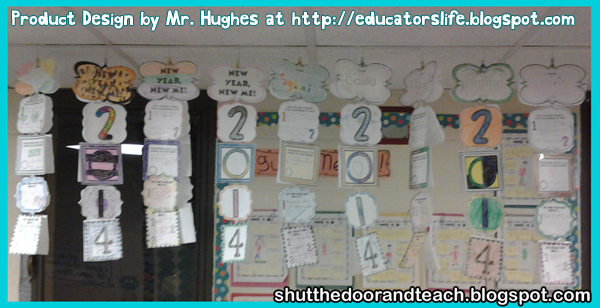 You can see Mr. Hughes write about his mobile here and you can even download it free on TPT. He updated it for 2014 and hinted at plans for next year as well! So if you like it, go grab it. In other news: more on this past month. If you've been following my blog over the past year, you'll know I had two blogging goals for the year. My first goal was to blog every Wednesday. I didn't meet my goal every single Wednesday, but I could probably count on one hand the number of Wednesdays I missed up until December. So not too bad! My second goal was to write quality posts. 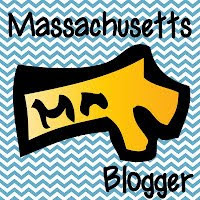 I find that the teacher blogs I love reading are the ones that get me thinking about positive changes I can make in my own classroom. And over this holiday break, I needed to recharge my batteries and shift my priorities a bit. 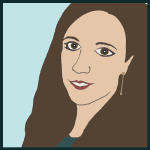 I think by doing so I maintained the integrity of this blog, so I don't regret pursuing goal #1 up there. That being said, I do feel that those two goals are worth maintaining for 2014. I feel like blogging once per week is a comfortable pace when balancing family, full time teaching, my classroom blog, my product creation process, and a few TV shows per week, haha. Yet having a consistent schedule is hopefully helpful for all of you who follow my posts here. So Wednesdays it is! So besides family time, what exactly was I up to over the past month? I'm glad you asked! I read for pleasure. Not for teaching, just for me. After enjoying Hunger Games a lot more than I thought I would I went with the next book on all the "if you like" lists...the Divergent series. And I have to say, those reading lists were SPOT ON. Divergent, Insurgent and Allegiant blew my mind. It moved so fast, it was action packed, but it also made me think in terms of sociology, psychology, and genetics. Loved it. *First, I needed a separate version for my team, because the order Journeys covers grammar is a spiral, as opposed to distinct units. In order to make it useful to anyone not using the Journeys program I reorganized it by categories for my TPT store. *The other reason it took so long is I wanted to make sure it was something that could be used not just as practice for students, but also as a reference guide. I don't know about other series, but we don't have grammar books anymore. That's why I added an element that students could glue into a notebook to refer back to all year. There are a few freebies in the mix as well! The three thumbnails pictures will bring you to those freebies. Enjoy! So although I have neglected this blog, I've been very busy working on some original teaching materials! I have a few other surprises in store as well, so I hope you'll stop back on Wednesday as I get back to my regular posting schedule.